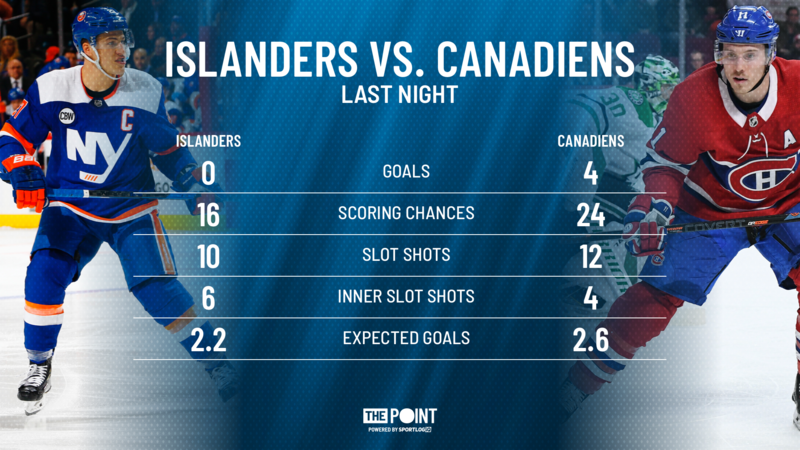 Canadiens Jump Into Playoff Spot with Win Over Islanders - The Point Data-driven hockey storytelling that gets right to the point. The Montreal Canadiens gave themselves some confidence last night with their 4-0 win over the New York Islanders, moving into a tie with the Columbus Blue Jackets for the final wild card spot. After losing two straight and falling out of a playoff spot, they’ve now won two in a row. Carey Price was his dominant self but they didn’t entirely rely on him to pull the team along. Price came up with a few timely saves in pursuit of his fourth shutout this season which included this glove save on Jordan Eberle to preserve their two-goal lead. Price is the team’s backbone and last night he was on his game stopping all 28 shots he faced. He now sits ninth with 0.47 goals saved above average meaning he saves his team a goal every two games compared to league-average goaltending. Last night, he set a mark of 2.23 goals saved above average, meaning he saved his team over two goals. It wasn’t all on Price though, as Jonathan Drouin broke out of his nine-game pointless streak with a goal and an assist. His last goal was scored on February 7th against the Jets. Joel Armia also scored his first career power-play goal with seven seconds left in the first period to give the Habs the lead. That was only the Canadiens third powerplay goal in 18 games and it gave them a big boost going into the second period. 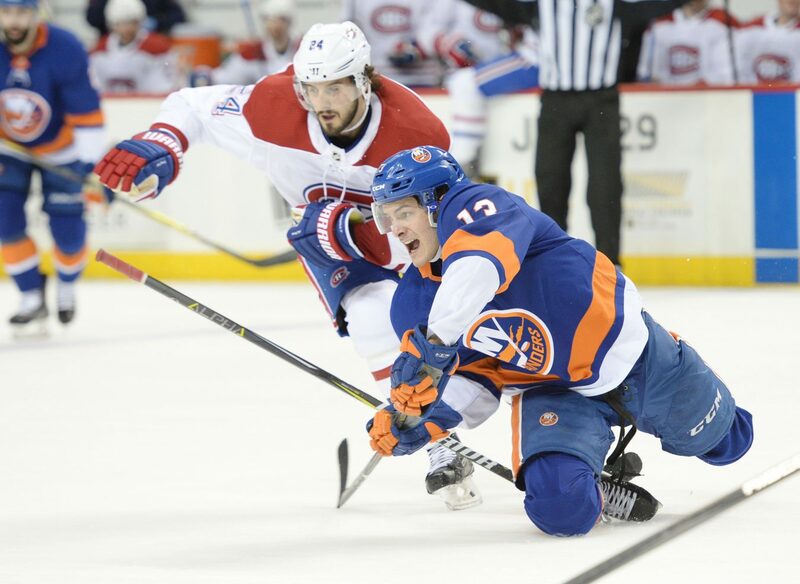 The Canadiens played a strong game, out-chancing the Islanders and burying on the opportunities they created. After losing to the Isles a week ago, the Habs were able to get some redemption while breaking out of a few slumps. This was exactly the type of game they needed and is how they need to continue playing if they want to bring playoff hockey back to Montreal. It’s an ongoing battle but last night was a night full of positives for a team that can’t afford too many negatives going down the stretch.